Cowling, Camillia. 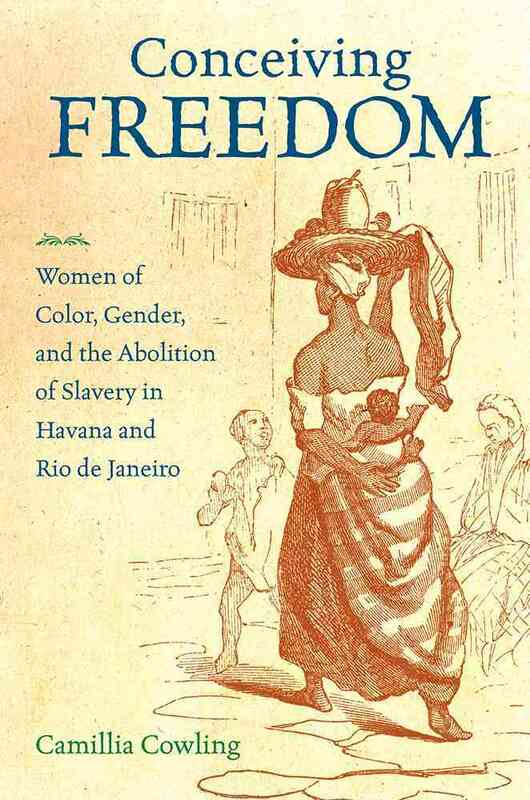 Conceiving Freedom: Women of Color, Gender, and the Abolition of Slavery in Havana and Rio de Janeiro. Chapel Hill: University of North Carolina Press, 2013. “In Conceiving Freedom, Camillia Cowling shows how gender shaped urban routes to freedom for the enslaved during the process of gradual emancipation in Cuba and Brazil, which occurred only after the rest of Latin America had abolished slavery and even after the American Civil War. Focusing on late nineteenth-century Havana and Rio de Janeiro, Cowling argues that enslaved women played a dominant role in carving out freedom for themselves and their children through the courts. Cowling examines how women, typically illiterate but with access to scribes, instigated myriad successful petitions for emancipation, often using “free-womb” laws that declared that the children of enslaved women were legally free. She reveals how enslaved women’s struggles connected to abolitionist movements in each city and the broader Atlantic World, mobilizing new notions about enslaved and free womanhood. She shows how women conceived freedom and then taught the “free-womb” generation to understand and shape the meaning of that freedom. Even after emancipation, freed women would continue to use these claims-making tools as they struggled to establish new spaces for themselves and their families in post emancipation society.